Black Power as most popularly expressed by Stokely Carmichael/Kwame Ture was/is anti-imperialist, anti-capitalist, pan-Africanist, scientific socialist, internationalist and revolutionary. Voting was seen by this movement as one (not the only) method of organizing a mass movement and challenging (and demonstrating that challenge) the system and its claims that the vote is a mechanism of achieving/wielding power. Voting cannot bring about revolutionary change until put to use by a radically organized movement that is itself producing candidates and campaigns. We’ve not learned or organized enough around what has long been said and known; the two-party political establishment cannot produce revolutionary change. 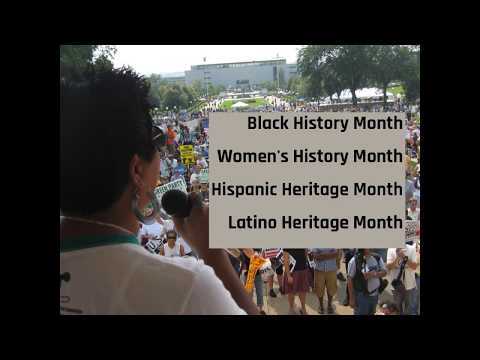 Preparing for what is next week’s June 16th 50th anniversary of Black Power (June 16th is also Tupac’s birthday) and listening to this week’s “appeal” to the Green Party by their 2008 vice-presidential nominee Rosa Clemente got me to hearing it yet again. In the initial mix (below) are some of those comparative unlearned lessons laid out in both a 1966 speech on Black Power from then Stokely Carmichael (Kwame Ture) and this past week’s speech from Rosa Clemente.